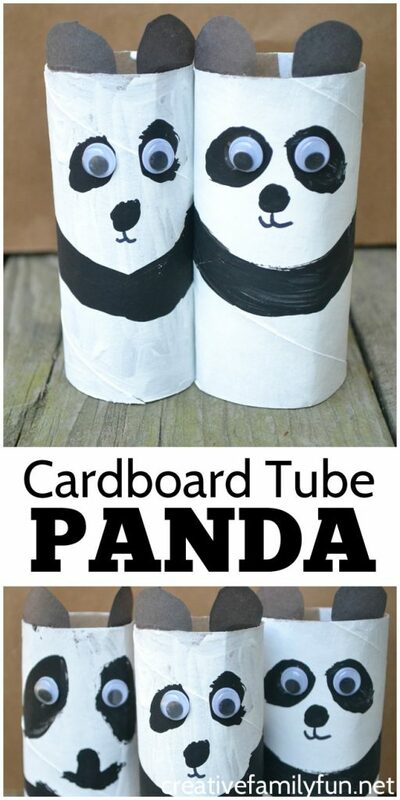 We’ve made cardboard tube elephants. We’ve made tigers. 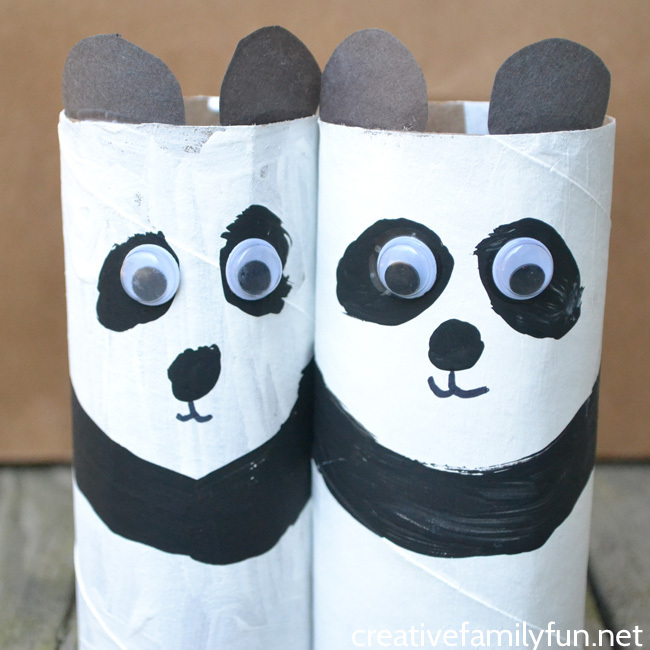 And, now we’re making a fun cardboard tube panda craft. 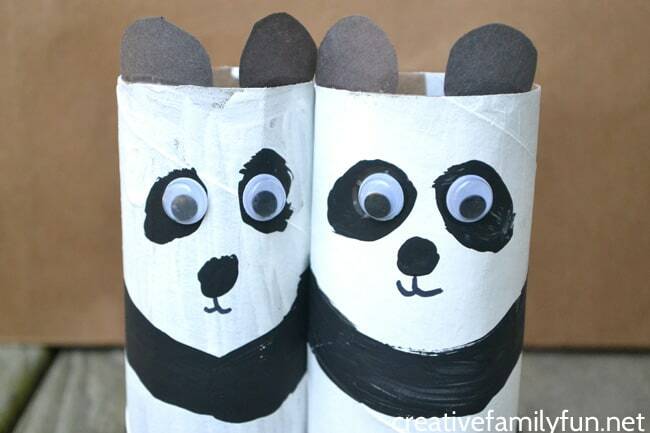 These pandas are so cute that you’re going to want to make a whole family of them. So, let’s grab our craft supplies and get started. 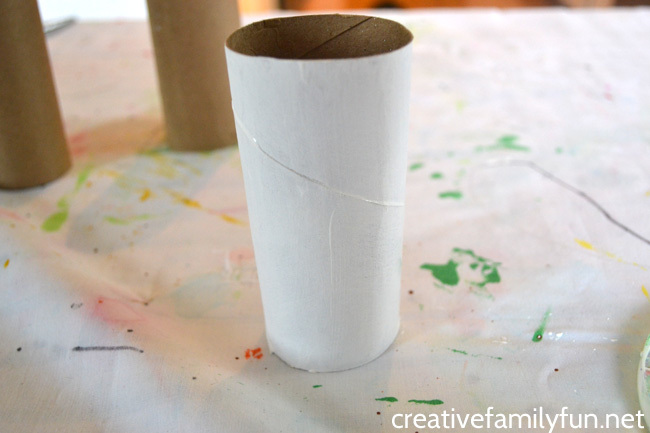 For the first step, grab your white paint and paint your entire cardboard tube white. After your white paint is dry, grab your black paint to add the details. You’ll want to paint two ovals tilted to the side for your eyes and a small circle between them for the nose. Next, paint a black band under the face. The band circles your tube with it lower in the front and higher in the back. Let the black paint dry for a few minutes. After all the paint it dry, add your final details. Glue your ears to the inside of the top of your tube. Center an ear above each eye. Glue your googly eyes inside your black eye ovals. They need to be near the top of the oval. Finally, use the black marker to make your mouth underneath the nose circle. After the glue dries, it’s time to play! 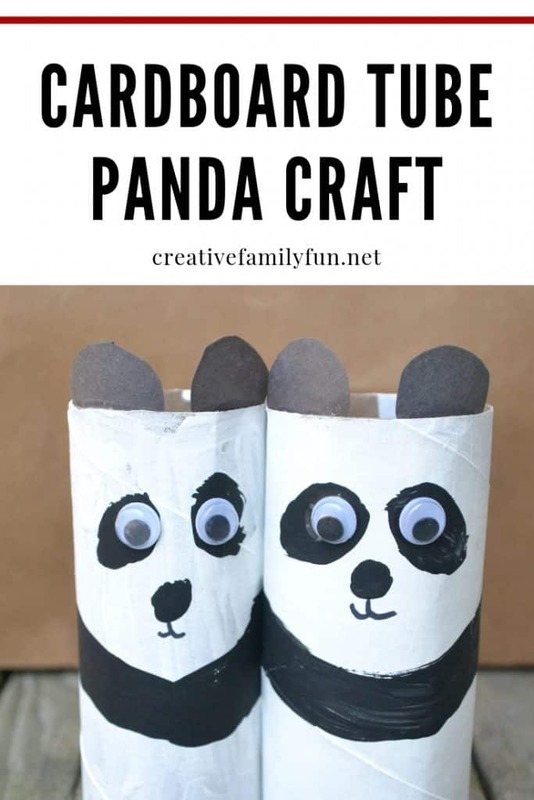 This panda bear craft makes a great DIY toy! 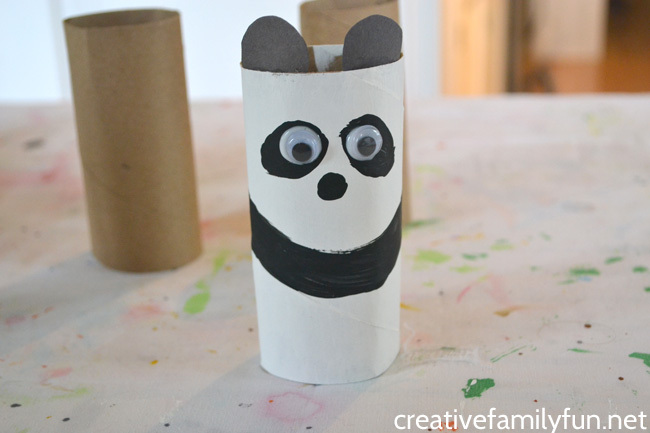 If you want to make this cute cardboard tube panda, you’ll need a few simple craft supplies. First, make sure you save a couple of empty toilet paper rolls! 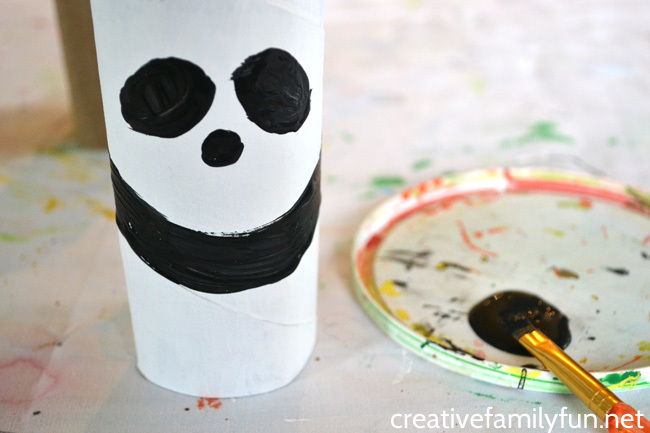 The rest of the supplies are some that you should keep on hand to make many fun crafts for kids.